With Christmas just a few days away, we’re thinking about gifts. As the new year approaches, we’re thinking about what’s in store for 2015. As marketers, we’re thinking about lists. So we figured that since we’re doing all this thinking about gifts and other good things, we’d share our lists of 2015 food marketing trends and other events, products, and issues to look forward to. For many of us, work and even our social lives require us to navigate and interact digitally, and even though I place great importance on disconnecting and getting out into nature, I’m increasingly aware of how much I need to be proactive and plan to do so. For me, one of the ways I want do this is by setting aside time for birdwatching, a lovely hobby that my grandmother taught me and which has experienced a bit of a resurgence in America. Whether it’s birdwatching or geocaching or roller derby or kickball leagues, we’re having to work hard to set aside time to enjoy the physical world, and I predict that we’ll see more brands, in the hopes of proving themselves a valuable part of consumers’ lifestyles, incorporate marketing tactics that not only encourage but also facilitate that kind of offline interaction. Brands have, for the most part, learned how to incorporate story into their marketing. Consumer brands have used a wide range of storytelling tactics to tell their stories and sell themselves as brands, and even B2B companies are doing a decent job of this. This year, many consumer brands did a good job not only of telling their own stories but also of telling their consumers’ stories, and I look forward to seeing more B2B companies follow suit as one of many 2015 food marketing trends. Perhaps the biggest marketing trend I look forward to in 2015 is radical transparency. Whether through transparency campaigns or authentic social responsibility initiatives, brands have a lot of opportunity (and increasing mandates) to open their doors (all of them) to consumers, and I’m excited about the effects of such a movement, both as a consumer and a partner to many brands who would benefit from such a shift. The death of a trend can be as important of a cultural event as the rise of one, so I begin with my prediction (okay, to be honest, it’s a hope/wish/dream more than a prediction) that skinny jeans will go away in 2015, never to constrict another calf, glute, or gam. The cheapskate in me (and thousands of Americans) has gotten fed up with the increasing cost of cable TV (not that I get to watch often). I plan to cut the cord in favor of a Roku (or similar device) and a cheap HD antenna and pay, like more of us will continue to do, only for what I watch. This issue, as evidenced by the recent decision by HBO, is going to continue to intensify, and though I’m not sure where it will go, I do know that my cable bill will go down, and for that, I look forward to this trend. I’m thankful and excited for the trend of decent-tasting lagers, including current favorite Totally Naked from New Glarus Brewing. If the Spice Girls began their music career in 2015, one of the members would certainly select the trend-inspired moniker Smokey Spice. Smoked seasonings dress up pantry staples – like salt, pepper, and paprika – with bold and flavorful flair, answering the demand for intense flavors that bring a new dimension to meals and snacks. While chipotle flavors already had their day, there’s a world of other flavors that beg for a smokey signature. The Forecast: Grocery store shelves and restaurant menus will increasingly feature smoked spices and flavors. 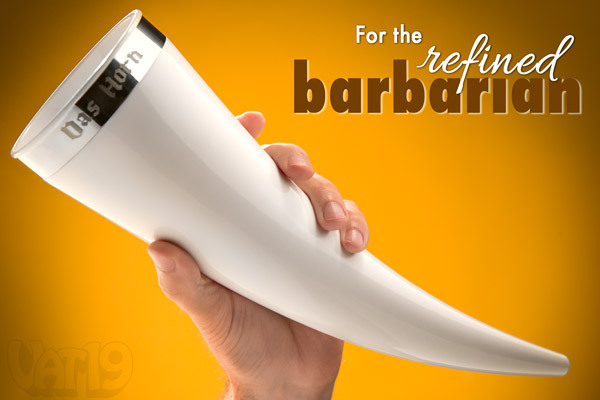 Craft beers and well-aged wines are enjoyable to drink, but few imbibements please the palate like an inspired cocktail. A natural second act to the craft beer movement, craft cocktails allow for a taste of DIY, with recipes ranging from simple to supremely elaborate. In a time when what’s old is new again, the cocktail is making a splash in a deliciously crafty way. The Forecast: Increasing shelf space for and selection of infused simple syrups and flavored bitters. Examples: Fun and fanciful cocktails like the Lisa Frank Fizz as well as twists on the classics, such as a Roasted Blueberry Basil Margarita, will have an increasing presence on cocktail blogs, in recipe books, and on the daytime talk show circuit. Collaborations among brands, including musical artists, restaurants, and foods are helping brands stay relevant and appeal to the ongoing demand for new, fresh, and interesting variations. Just as unlikely duo Lady Gaga and Tony Bennett paired up for a chart-topping jazzy duet album, CPG brands will feature dual-logo labels highlighting collaborations designed to draw both brand loyalists and the collab-curious. The Forecast: Surprisingly great mashups, “meh” mashups, and Internet meme-level terrible mashups. Example: Strange collaborations by St. Louis donut shop Strange Donuts. Pretty much all I can think about right now is India Pale Lagers. Our palates are generally trending toward bold, tangy, bitter flavors, so the perfect storm of timing is ideal for the lager to come rushing back re-envisioned. Lagers can be brewed with old-world quality and care, but this time around, we have new, supercharged hop flavors for the lager yeast to highlight. Purists would shudder at the idea of dry-hopping a lager with pungent, American ale hops, but for the vast number of us in this country who embrace pushing the limits, we’re all in. More cleanly, subtly, and typically with less alcohol bite than an IPA (especially for double or imperial versions), the IPL can showcase a vast array of complex hop flavors (whether focused on a single hop or on unique blends) in a completely light and fresh way that should appeal to a very broad audience. It’s taken a while for the traditional European lager to meet the boisterous American spirit, but the evolution has finally led us here, and in 2015, I expect, we’ll usher in a new age of creative, complex, hop-focused lagers. In short order, the IPL could gain traction like the IPA before it, and I, for one, am excited to stay, both as a marketer and a partaker, at the forefront of this 2015 beer trend! For a couple of years in college, my wife worked at an organic grocery store, and we unabashedly feasted on expired produce or special orders that nobody picked up, all for free (including once—yes, we did—an entire case of heavy cream). Now I might have a chance to recapture that experience without either of us working in the industry. Salvage grocery stores—which sell past-date or damaged goods at a discount—aren’t a new concept, but they are gaining prominence, as an ex-president of Trader Joe’s is launching a new concept in the space. If this idea can grow, it could benefit practically everyone, from food companies looking to reduce overhead to lower-income consumers who need healthy groceries at a low price. Here’s to the growth of salvage grocery stores; may the large-scale dumpster diving increase. The biggest specialty coffee chains, namely Blue Bottle, Stumptown, Intelligentsia, and La Colombe, have entered an era of agressive expansion and seem to be seeking to become truly national operators. 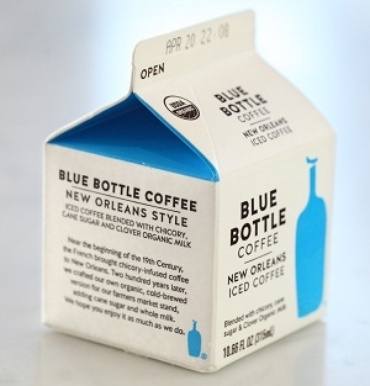 In addition to opening new cafes, they have released a variety of new products, including some clearly aimed at gaining customers with more accessible flavors (Stumptown’s bottled cold brew coffee, or Blue Bottle’s New Orleans-style RTD coffee in a paper carton), while others clearly aim at positioning the company as a thought leader in specialty coffee. Both Blue Bottle and La Colombe now have exclusive, high-end brewing devices to their name: the Blue Bottle update to the Moka pot, and La Colombe’s The Dragon. Specialty coffee is still an intensely fragmented, local industry with few heavyweights, but Blue Bottle and its counterparts seem determined to take their industry mainstream and raise it to the status of something like the craft beer industry, which has the largest brewers in the world nervous. At the same time, Starbucks is aggressively getting into the specialty sector themselves, having recently launched a new high-end roastery featuring pour-over brews and competition-winning baristas. Okay, so there’s really only one current example of the NFL-to-farming pipeline: Jason Brown of our hometown Rams recently retired to grow sweet potatoes, which he’ll give away to food banks, but I count an increase from zero to one a trend, or at least a nano-trend. Seriously though: if farming is becoming appealing again for people like urban hipsters and elite NFL offensive linemen, and there are signs beyond Jason Brown that it is, that’s a lovely development. After years of the farming industry graying, I’d be happy to see it appeal again to more than just those who grew up in it. Getting into the spirit of the past’s future present, Back to the Future fans will spend be talking a mile a minute (or even 88mph) about the 2015 predictions of Back to the Future Part II—which ones come true and which don’t. Cubs fans will be especially annoying on this topic. Of note, the hoverboard is supposed to be coming soon. Mark Hamill’s career is going to have a huge resurgence now that the new Star Wars film has finished shooting. It was announced recently that he would be reprising his 90s role of the Trickster from the TV show The Flash, and he’ll be in the new Matthew Vaughn film that comes out in a couple months. This is after his doing nothing but voice acting for the last couple decades. Similar to how Pulp Fiction brought back John Travolta (unfortunately, for me) from the screen-dead, I imagine we’ll see him pick up numerous film roles in the coming months. Cans are the future of 2015 beer for two reasons: light sensitivity (obviously) and hipsters. The number of craft brewers canning beer has doubled in the last two years for a reason. This is going to sound weird: I have a thing for fresh young coconuts. Some of my co-workers find it unsettling to see whole coconuts in the refrigerator (they’re the same ones who think the words “coconut” and “meat” don’t belong together), but give it a little time, and they, like many others, will be joining me. Along with coconut water and meat, I enjoy using coconut oil, which is one of many healthy fats enjoying a resurgence. Which leads me to . . . The American consumer is finally catching onto the idea that not all fats are bad for us. I’m encouraged by the resurgence of good fats on the shelves and in our cooking (both home and restaurant). Butter, lard, duck fat, coconut oil, and ghee are super healthy, and are discussed, with good reason, among health enthusiasts. In terms of 2015 food marketing trends, I look for these quiet, unassuming ingredients to emerge or at least be marketed as superfoods: eggs, liver, beef, and lard. Whether or not those make the cut, I know for sure that the top picks for my own health next year are the following: pasture-raised eggs (yolk and all), pasture-raised raw milk, fresh young coconuts, and raw, salt-free pastured butter. Less trends for 2015 and more “OMG I can’t wait for these things” in 2015, I’m downright giddy about what’s in store. Future Day: October 21, 2015 is the fateful future day that Marty traveled to in Back to the Future 2. I’ve already begun mentally preparing for the Future events that will take place at my house: a McFly marathon, hoverboard designing, and perhaps making our own version of Gorbachev Goulash, Rambo Roughy, and Pepsi Perfect. Terminator Genisys: Arnold is back! Enough said. But I’m so excited, even though enough is said, I’ll say it again: Arnold is back! Batman vs Superman: Two of my all-time favorite superheroes in one film. I fear that neither the celluloid nor the silver screen can withstand, contain, hold, or present this much power. The days of shooters for oysters are over. Tied to larger trends of customization and adventurous eating, I look forward to more restaurants offering fresh (this is relevant depending on where you live, of course) and varied oysters on a daily basis. To be able to slurp a fresh variety, talk about terroir (bays taste different, of course), and feel connected to the ocean are all things that I wholeheartedly support. Shaved ice is big in St. Louis, and I predict that it’s going to catch on outside the MidSouth and Midwest, at least in restaurants. Having worked in a shaved ice hut long ago, I know the fun and magic involved in mixing delicate ice shavings, syrups, and, best of all, alcohol. And I predict that a few brave restaurateurs will lead the way in introducing this humble delight to the masses. A child of the 70s and 80s, I spent my play time wandering my subdivision, messing around and tinkering as I pleased until the street lamps came on, signaling time to go home. I want that for my own child, but I have a hard time even trusting him to the backyard alone for five minutes. I’m no helicopter parent, but I could be, and I’m not particularly paranoid about the boogie man. For many reasons, though, I feel compelled to guard and protect my child at every turn (ask the hooligan nine-year-olds I stink-eye for existing near—nay, by their mere presence threatening—my smaller child on the playground). I long for the freedom I had as a child. I recognize that this longing is partly nostalgia (with its untruths and pitfalls). I know that in my longing and recognition I’m not alone, as evidenced by Hanna Rosin’s Atlantic feature “The Overprotected Kid,” a good primer on the American cultural struggle with this issue. Though I read any parenting “advice” with a grain of salt, I’m very interested in discussions that help me think through what I call my Mellowraptor Parenting, which means I live with the tension of wanting to mellow out while always being ready to pounce on any perceived threat to my child’s wellbeing (physical, emotional, future, or otherwise). From philosophy/ethics (debates on the need to disappoint children and/or let them fail) to urban design (playgrounds that are no fun—and unused—because they’re so safe) to art (see the documentary The Land), this issue is part of the public discourse, and I expect that we’ll see a lot more of it in 2015. My doctor very professionally refers to the state of my gut microbiota as “crap.” To be fair, it definitely is total crap, but it’s improving thanks in part to him and to recognizing my issues with gluten and some high-FODMAP ingredients. On a larger scale, the gut is finally getting its day in the consumer sun, or at least it’s beginning to. As someone with a crap gut, I’m looking forward to the ways that consumer foods (both human and pet) address the gut-mind (and emotion) connection. As someone with an educational interest in the autism spectrum, I’m especially excited about the mainstreaming (and funding) of advanced research into the role of microbiota in neurological functioning. I’ve got a gut feeling that we’re in for some big breakthroughs, not just on the shelf but also in our lives. Kickball photo by Bec Campbell for the Corvallis Advocate.